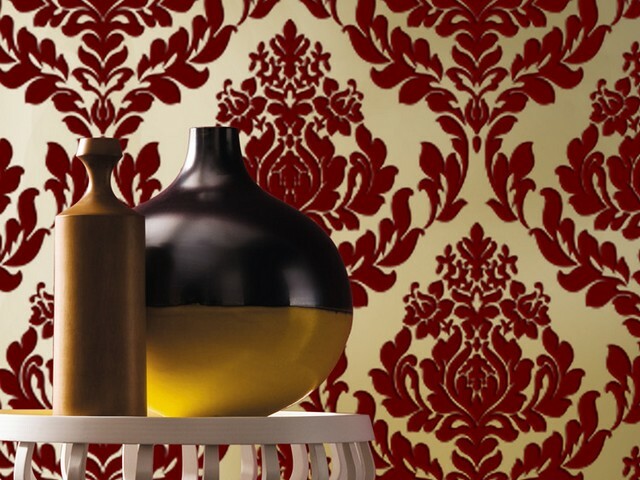 Wallpaper is the most common alternative used instead of painting. 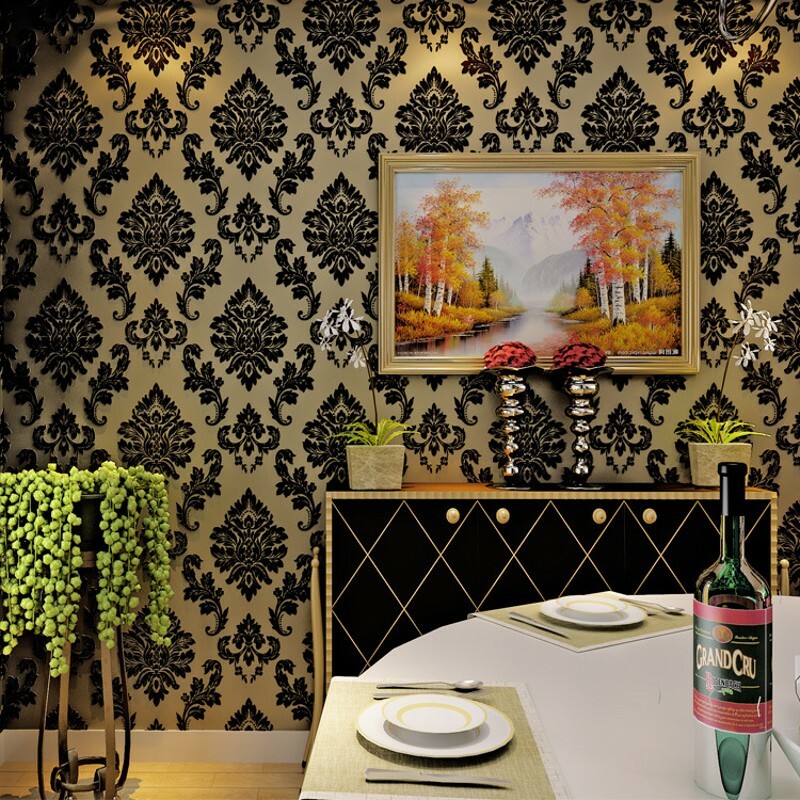 Wallpaper plays a vital role to give more visual appearance in the house. In the recent years, wallpaper has become very popular across global because they give an amazing look to the interior wall. Home wallpapers are available in a variety of colours, patterns, materials and textures for the living room, dining room, bedroom, kitchen and any area of your home. Now the wallpaper trend is back. 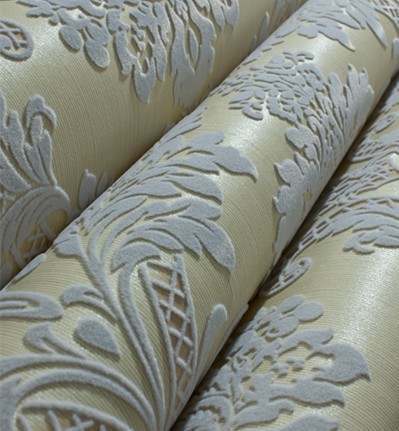 In the market different types of wallpapers are available such as vinyl, textile, grasscloth, hand screened, foil/metallic, flock, mural/photo, natural bamboo, embossed, paintable/anaglypta, woodchip, lining, liquid, cork etc. Also Read: 10+ Types of Wallpaper for your Home Interior! Here we explain flock wallpaper in detail. Flock wallpaper was originally designed to follow velvet and textile wall coverings. This wallpaper is printed on a paper backing. From the flocking process, this wallpaper got its name “flock wallpaper” or “velvet wallpaper”. Flock wallpaper is made with flocking process. 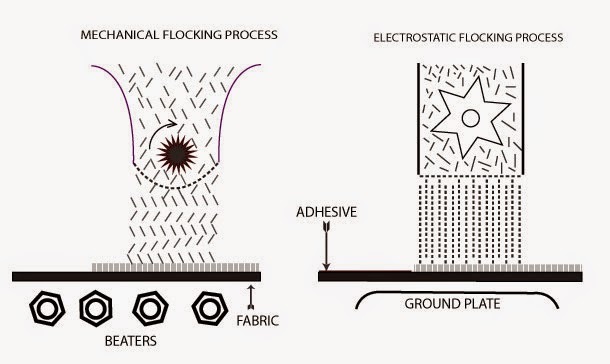 Did you know what is the flocking process? Flocking process or flocking is a printing process in which in the old days waste product of woollen cloth were used. Those used to come in the powdered form of wool. Nowadays manmade short fibres like rayon, cotton, wool or another natural or synthetic etc. material are applied on an adhesive coated surface. During the process of flocking the fibres are kept very short and tightly compacted to help deliver that velvet effect. The fibres used in this process are known as a flock. This process adds a velvet texture to the surface. Flock wallpaper or velvet wallpaper is perfect for creating a dramatic and eye-catching accent wall (a special notice or importance given to something) in a bedroom, guest room, living room and dining rooms. Flock wallpaper is not used in high traffic areas like a hallway etc and it also not advised for kitchen and children room. Flock wallpaper is not easy to hang. Extra care is required while installing flock wallpaper. If the paste stains the front surface of wallpaper, it cannot be washed out. Installation of flock wallpaper is tricky because flock wallpaper is delicate and not washable. So carefully choose the room where flock wallpaper is going to be installed. 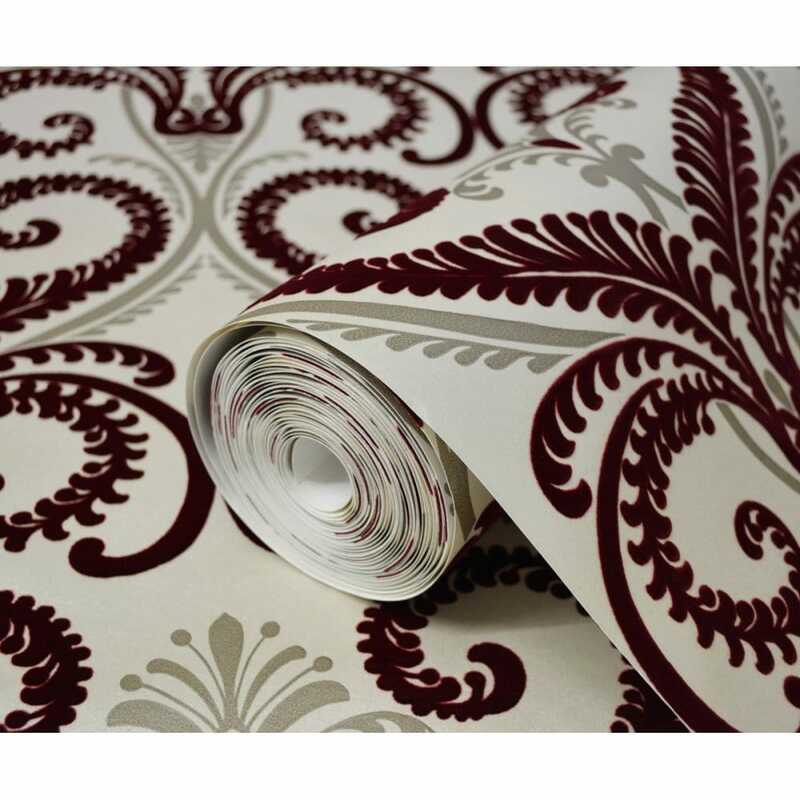 Flock wallpaper is very costly and is mainly used in luxury houses or villas. But this wallpaper has lost its popularity due to a couple of reasons likes, the weight of wallpaper and cleanliness. (as the ability to hold dust, was a major issue). Flock wallpaper is available in a variety of contemporary colours and patterns. It is available in large to small sizes. In flock wallpaper, fibres technology gives 3-d feel patterns. This wall covering is very delicate, strip-able and not washable. And it should be not be used at a place wherever there is “dust” or “smoke” issue. Also Read: Mural or Photo Wallpaper to Create Unique Designs in the House! Thus flock wallpaper is perfect interior material for creating a unique design in your home. A velvet fibre pattern gives a very luxurious, old-fashioned feel in the home. So for adding some real texture to your home flock wallpaper or an interior material is the perfect solution.